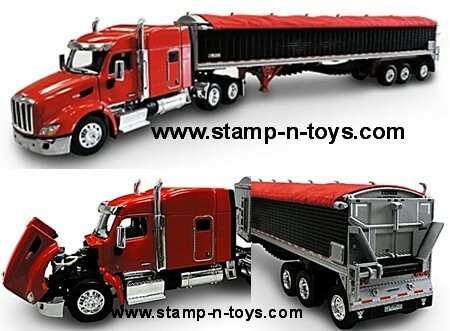 DieCast Promotions, 1/64 scale Kenworth T-680 Daycab with 3 Drive Axles pulling a chrome MAC Spread Axle End Dump. This is number 8 in the Large Car Model Builder Series. Only 150 of these sharp KWs were made. Outstanding detail and very authentic. Comes new in the box.